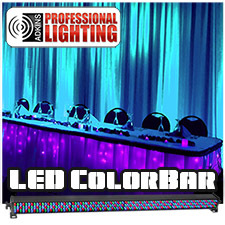 The Adkins Pro Lighting LED ColorBar is a high quality, high power,intelligent, DMX color wash fixture. 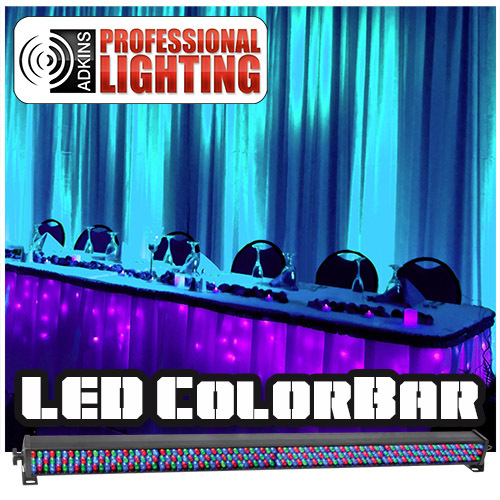 The 42" length provides a large coverage area and the linking feature allows you to color wash entire rooms with multiple units. This fixture can be used in standalone mode, DMX Controller mode or connected in a Master/Slave configuration. Dimensions: 42" x 4.7" x 4.7"